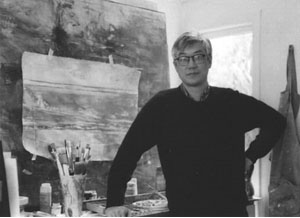 James W. Mah has lived and worked as an artist in Vancouver for over 30 years. He has worked in a variety of media, including gouache, acrylic, and watercolour, producing a huge body of linocuts, monotypes and paintings. His studio is located in North Burnaby, British Columbia, Canada. Burnaby is part of the Greater Vancouver Regional District and is about 30 minutes by car from Vancouver's downtown core. He can be contacted by e-mail (preferred) at jwmah@telus.net or by phone during daytime hours (Pacific Time) at (604) 294-1608. Dimensions of the artwork refer to the approximate image size and are in inches, height x width. Note that colour may differ slightly from the original colours depending on your monitor settings. Prices are for signed original artwork, unframed. All artwork is original. Prices are listed in Canadian dollars Convert-->. Provincial Sales tax of 7% will be applied to the price of artwork. Shipping and insurance costs are extra. We ship across Canada and the US and to most international destinations. We will be happy to give you an estimate for shipping. Works can be returned within a reasonable time for a full refund of the artwork (but not the shipping costs), once the artwork has been returned undamaged. Before you return the work, please contact us. C.O.D. returns will not be accepted. Purchases can be made with certified cheque, money order, Visa or Mastercard. Purchases can also be made in four equal installments, but must be made in full before the work is shipped. All work © James W. Mah 2006. Unauthorized reproduction prohibited without the expressed permission of the artist.